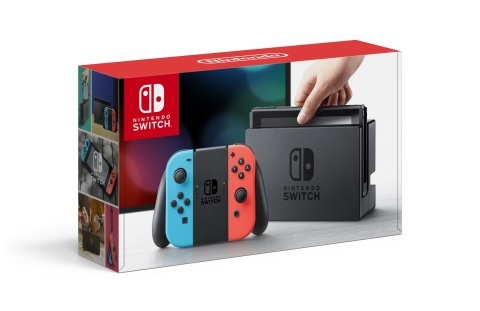 REDMOND, Wash.--(BUSINESS WIRE)--Nintendo Switch, the new home gaming system that people can also take on the go, has sold faster in its launch month than any other video game system in Nintendo history. The Nintendo Switch system sold more than 906,000 units in March, according to the NPD Group, which tracks video game sales in the United States. That makes Nintendo Switch one of the fastest-selling video game systems of all time. Notably, this sales surge was accomplished in a nontraditional month for a console launch. The Legend of Zelda: Breath of the Wild game sold over 1.3 million units*. That total includes more than 925,000 units sold for Nintendo Switch and nearly 460,000 units sold for the Wii U console. That means that Nintendo sold more of this game for Nintendo Switch than it sold Nintendo Switch systems, for an attach rate of more than 100 percent. This may be attributed to people who purchased both a limited edition of the game to collect and a second version to play. This was all enough to make The Legend of Zelda: Breath of the Wild the fastest-selling Nintendo launch game of all time, as well as the fastest-selling game ever in The Legend of Zelda series. While Nintendo Switch sales are off to a record-breaking start, shipments have not yet been able to keep up with such high demand. Nintendo is working to make sure everyone who wants a system is able to buy one, and more systems are continually being shipped. In just over two weeks, the Mario Kart 8 Deluxe game will launch for Nintendo Switch on April 28 with more content than any other Mario Kart game in series history, including 48 racing tracks, new Battle modes, new characters and other additions. Competition on Nintendo Switch gets even hotter heading into summer, with the release of the ARMS game on June 16 and the Splatoon 2 game on July 21. A full accounting of worldwide Nintendo Switch sales, as well as other financial information, will be provided on April 27, when Nintendo issues its fiscal-year earnings release. For more information, keep an eye on Nintendo’s investor relations page at https://www.nintendo.co.jp/ir/en.